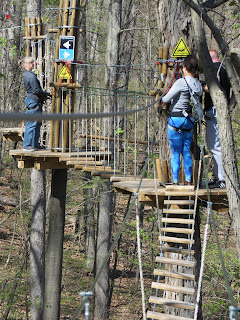 The Middletown Insider: Connecticut is Going Ape! 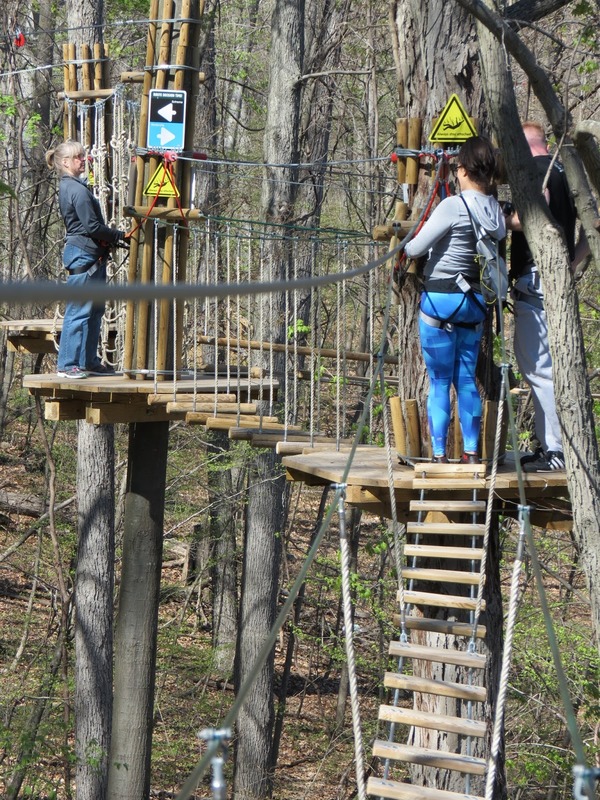 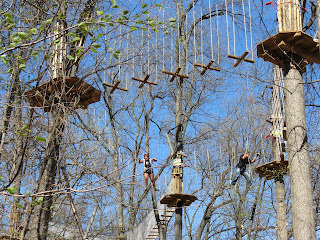 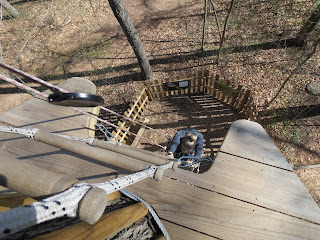 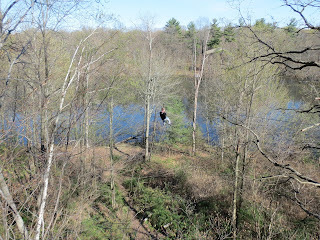 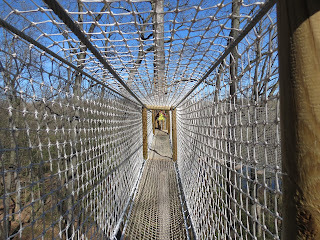 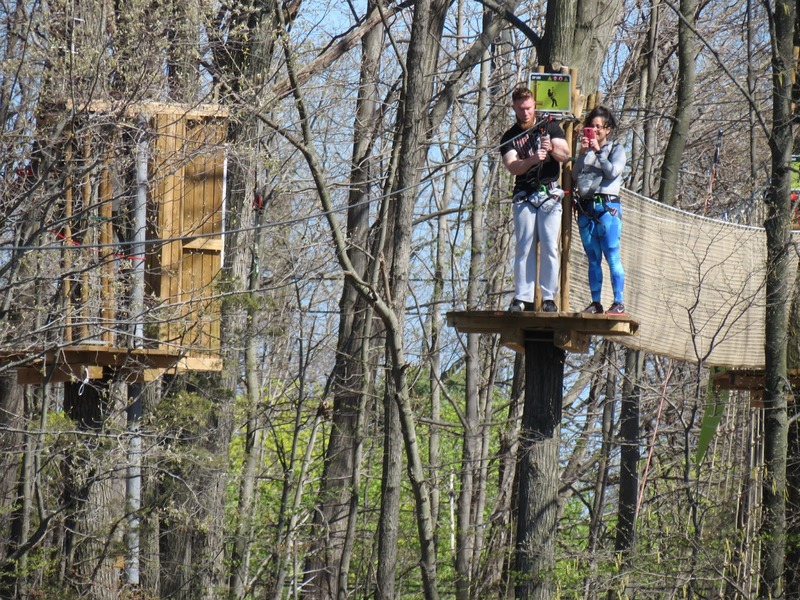 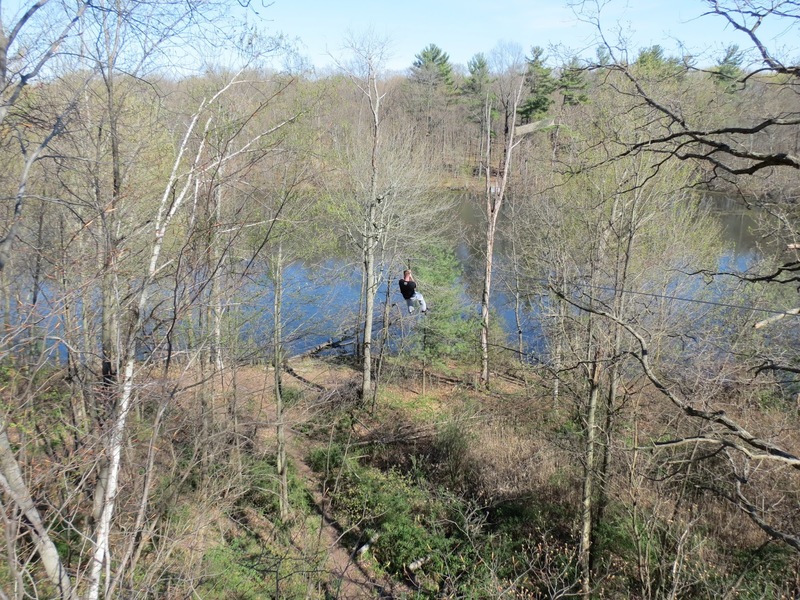 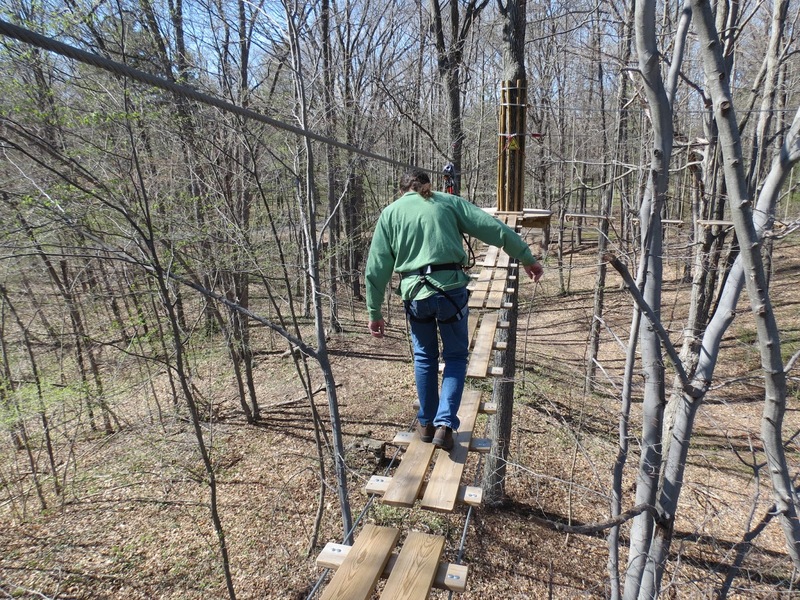 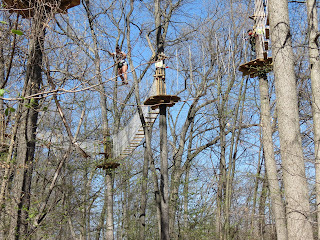 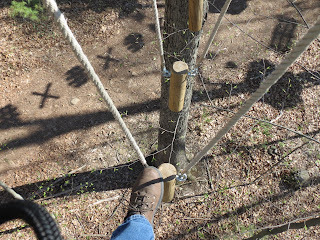 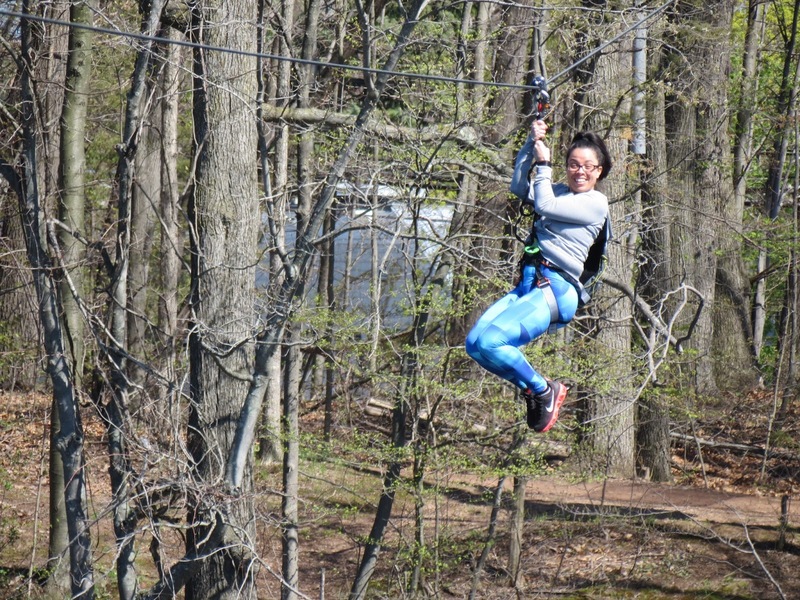 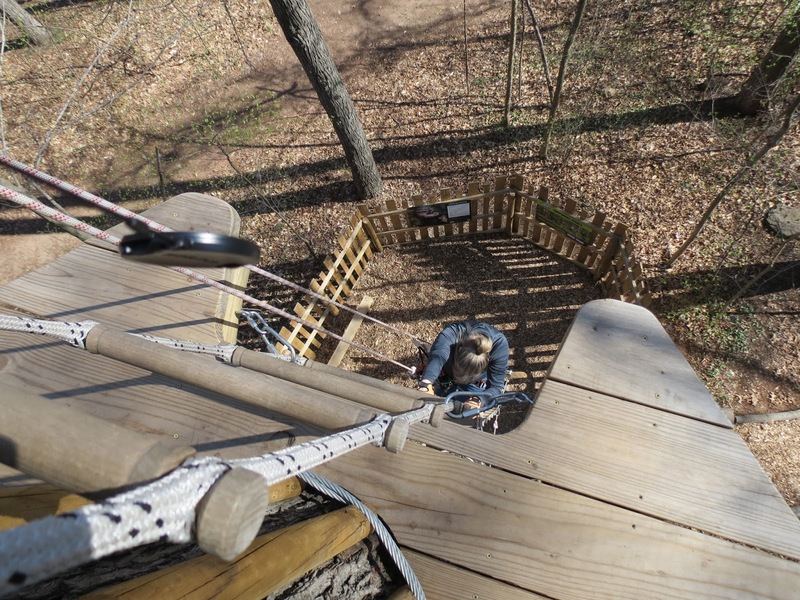 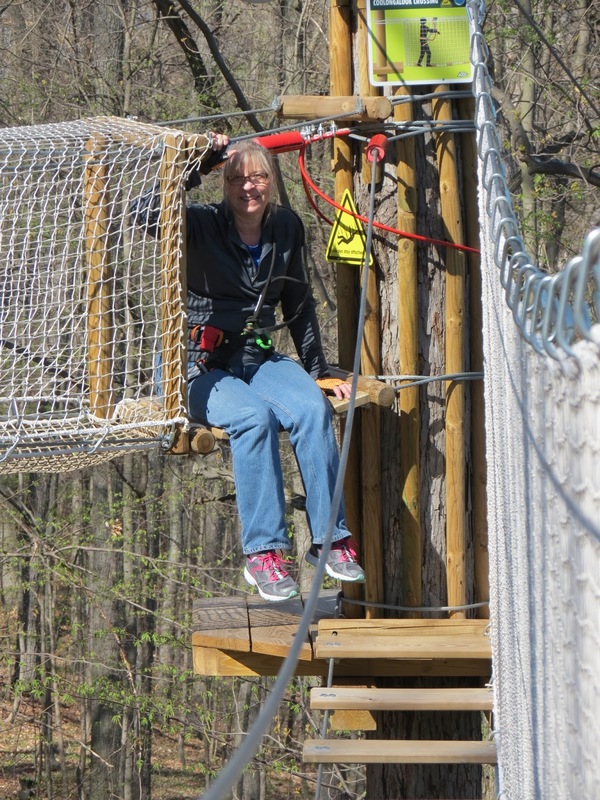 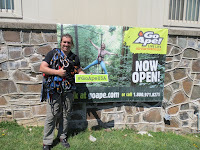 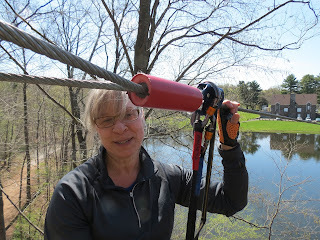 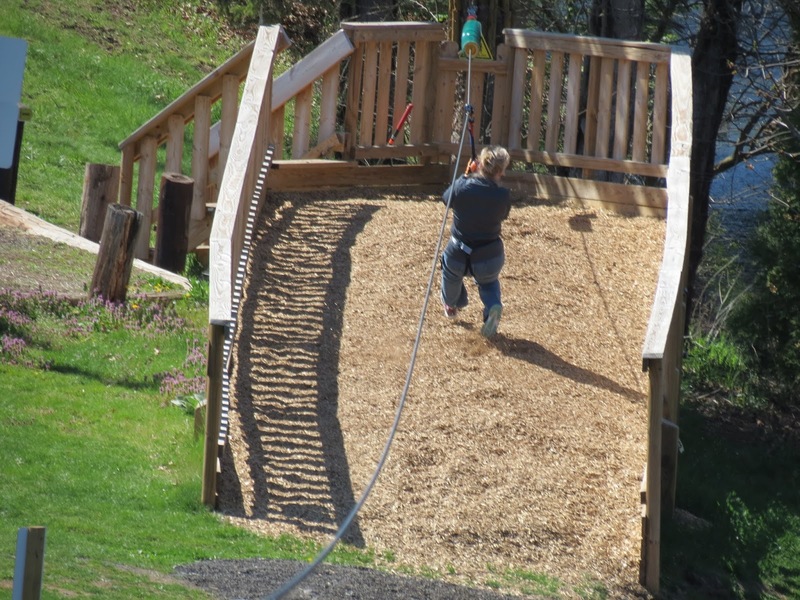 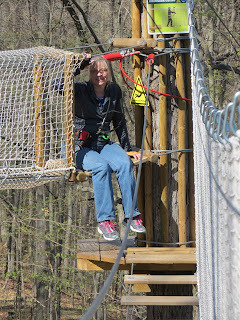 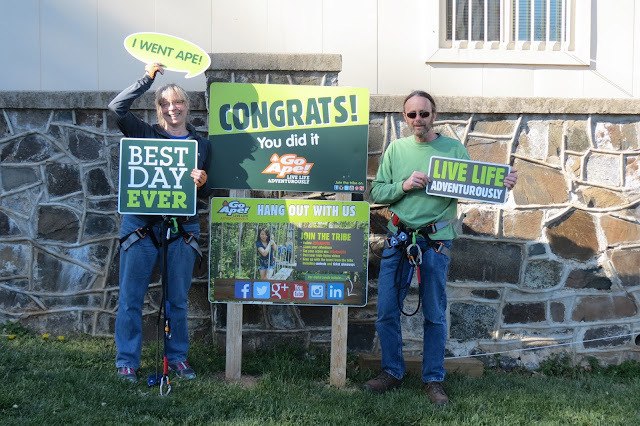 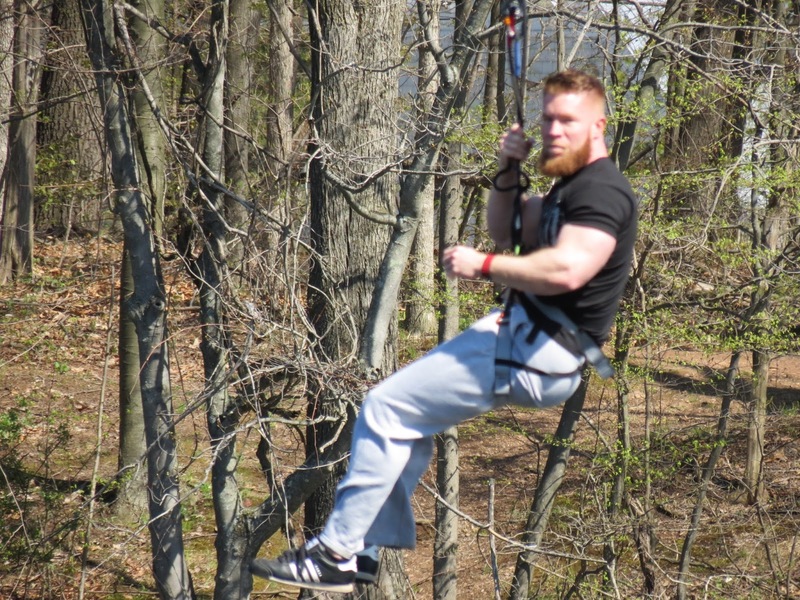 A couple weeks ago, my friend Linda and I visited "Go Ape" at AW Stanley Park on Alexander Rd., in New Britain, CT. Go Ape is a zip line and treetop adventure park, with courses across the country. 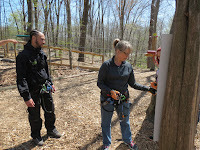 When we arrived, site manager Neil Garcia got us signed up and put us in the capable hands of Connor and Javier, who gave our group a safety briefing and helped us get into our harnesses before sending us on our way. 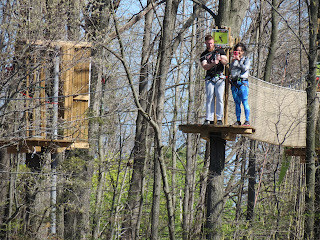 They did a great job of seeing to it that everyone understood the safety procedures and practices. 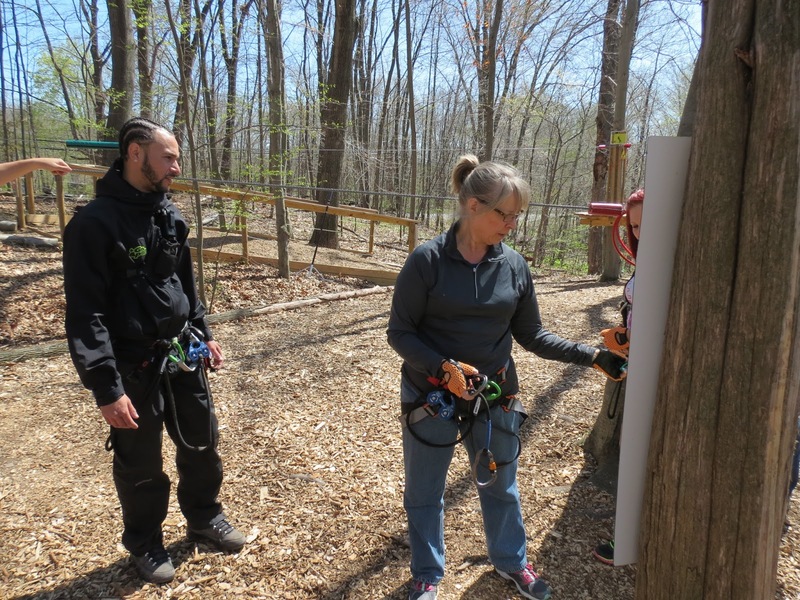 While Adventurers were able to move along the course independently and at their own pace, Connor, Javier, and Neil were always close at hand to offer assistance, advice and encouragement. 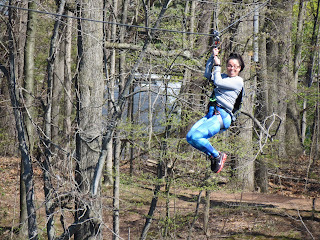 Even with my years of rock climbing experience and climbing around construction projects , I was challenged and thrilled; I felt like a kid! 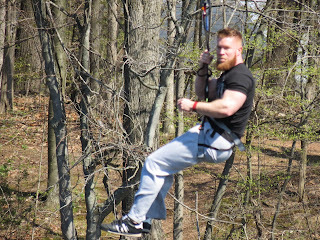 While the course is challenging, it is not so challenging as to be a deterrent to anyone in reasonable health and physical condition. 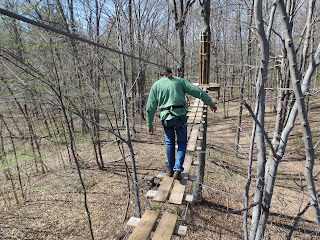 Neil informed me that last year, a 77 year old man completed the course. 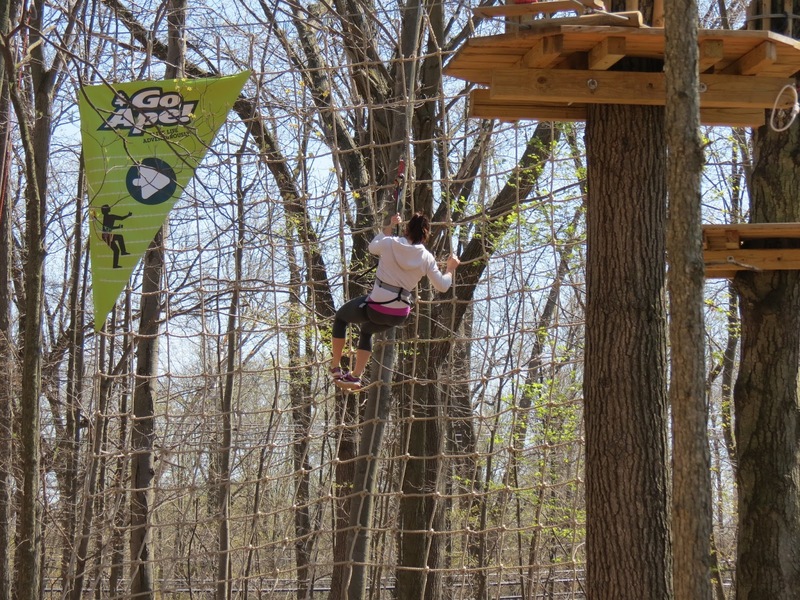 "Go Ape" gets a five banana rating! 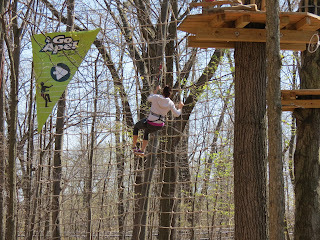 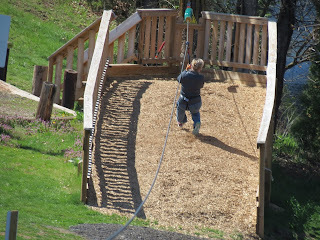 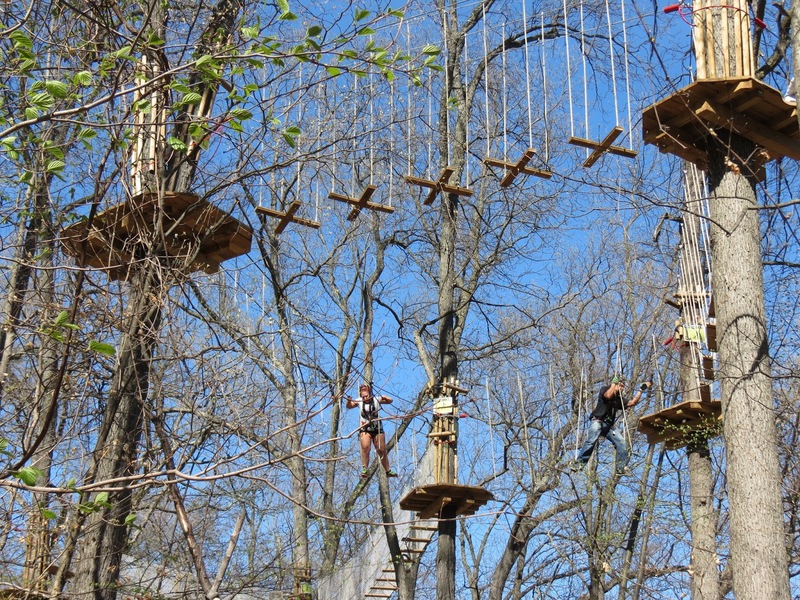 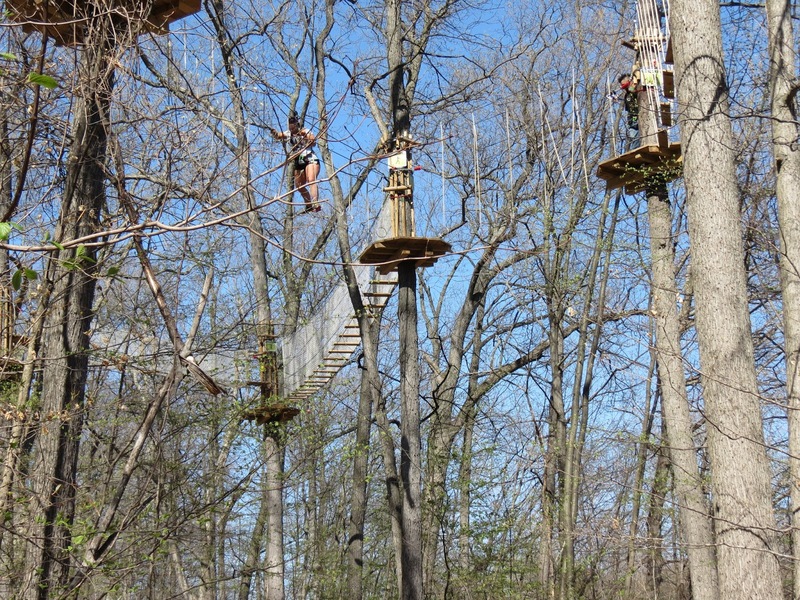 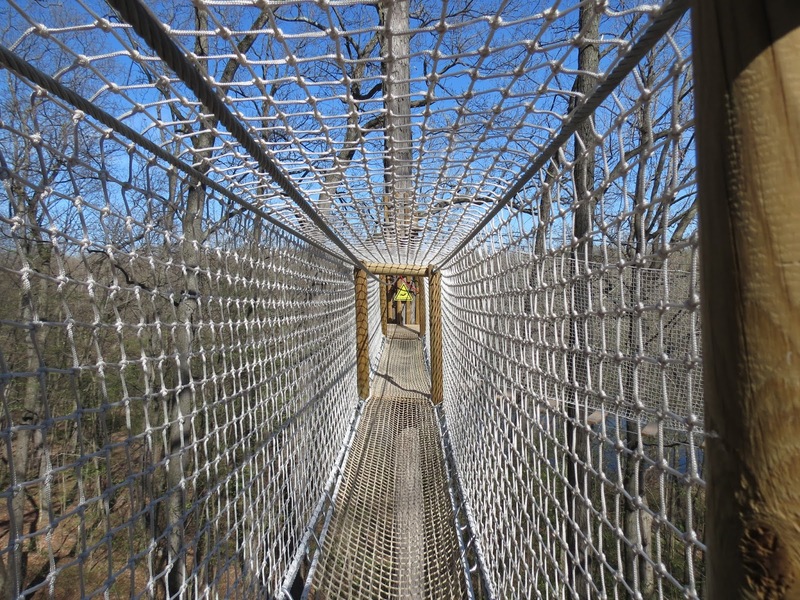 Let out your inner adventurer, and Go Ape! 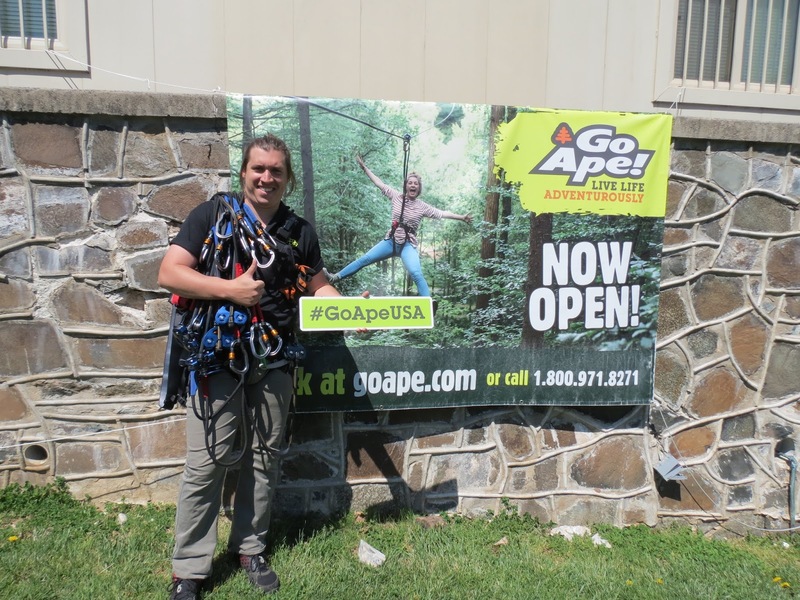 For more information and to register, visit the Go Ape website.